The best thing about game day is the food. Whether it is the Super Bowl, a college football game, or any other random gathering, food is the first thing on our minds. With the Super Bowl fast approaching, it is time to prep our menus for the big day. If you are entertaining guests this game season, here are 12 easy game day food ideas for your tailgate. It can’t get any easier than these mini skewers. All you have to do is take salami, olives, and your choice of cheese and string them on a toothpick. It’s like eating a mini Italian sub…or a few Italian subs on a toothpick. Delicious and simple, these mini skewers are sure to keep your guests happy. This is one of the best game day food ideas! Game Day is not complete without a great dip and this Jalapeno Popper Dip will have everyone wanting more. Chop up a few ingredients, mix them all together, and then throw them in the oven for a few minutes. This simple and delicious recipe will make your tailgate party the place to be this game season. Hot dogs and tailgating are the peanut butter and jelly of the game world. These easy pigs in a blanket are sure to be crowd pleasers. Get creative and form a football out of them, using mustard or ketchup to give your creation shape. The kids are sure to get a kick out of this dish. Pun intended. Sliders are another staple to the tailgating festivities. Bring everyone’s favorite burger to the game table with this slider version.Everyone will enjoy this recipe. It is the perfect combination of sports and nostalgia. Who doesn’t love a beer on game day? Now you can turn that beer into an acceptable food choice. This dip is quick and easy and pairs perfectly with pretzels and of course, beer! Be cautious as the dip can be a bit salty. This is one of our favorite game day food ideas! Mac and cheese is an American classic, so why not consume it during one of America’s favorite pastimes. Make this dish tailgate friendly by scooping small portions into a cupcake mold and then baking. Potato skins are the ultimate finger food and they are so easy to make. Top them with cheddar cheese, bacon bits, and scallions and dip them in some sour cream. It’s simple to make and it will keep everyone in good spirits for the big game. With all the snacks and main courses, we can’t forget about dessert. These brownies are an easy game day treat that everyone is sure to devour. Simply make a box of brownies, cut them up, and use white icing to make them into footballs. It can’t get any easier. The perfect combination of sweet and savory with a little kick is exactly what you need on Game Day. These bacon-wrapped smokies go perfectly with a beer and are sure to keep the energy up during the game. 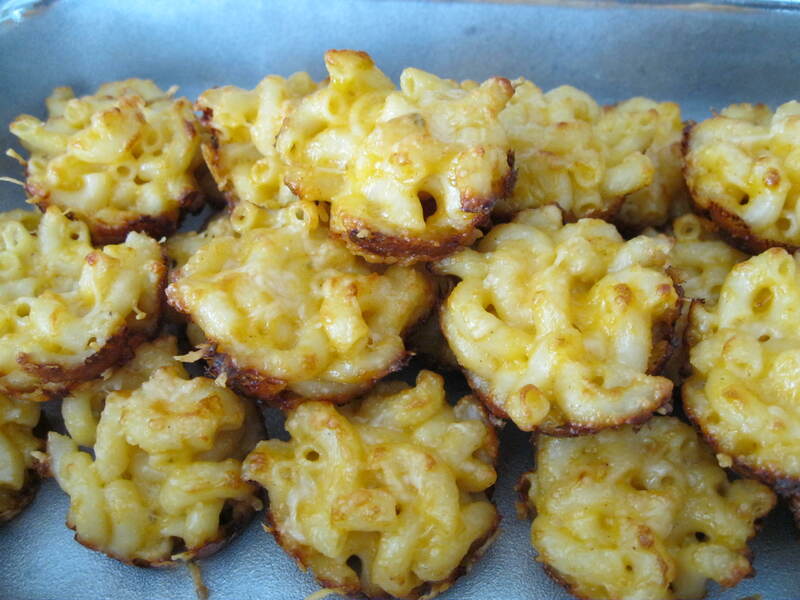 These are great snacks for the big day and so easy to make. Cut up an assortment of fruit of your choice and buy some donut holes from your local donut shop or bakery. Then stack them up on a stick like kabobs. It is a no-mess.no-fuss, way to entertain everyone at the tailgate. Whether it’s breakfast or a snack, these sliders are quick and easy to make. Use chicken fingers and frozen waffles to make this treat. No one will argue that these treats pack a powerful punch. They are delicious and are sure to be a hit. Dip is such an essential part of tailgating game day food that they even have a dessert version. If you have any friends with a sweet tooth, this is the perfect dish for them. Not to mention, the football shape adds some charm. Serve with pretzels for a sweet and savory combo. Do you have game day food ideas ready for game day? What game day food ideas are you planning to make? Comment below!